There can be no better person to produce a book on dung that Richard Jones who has spent his life peering into poo and getting his hands dirty. 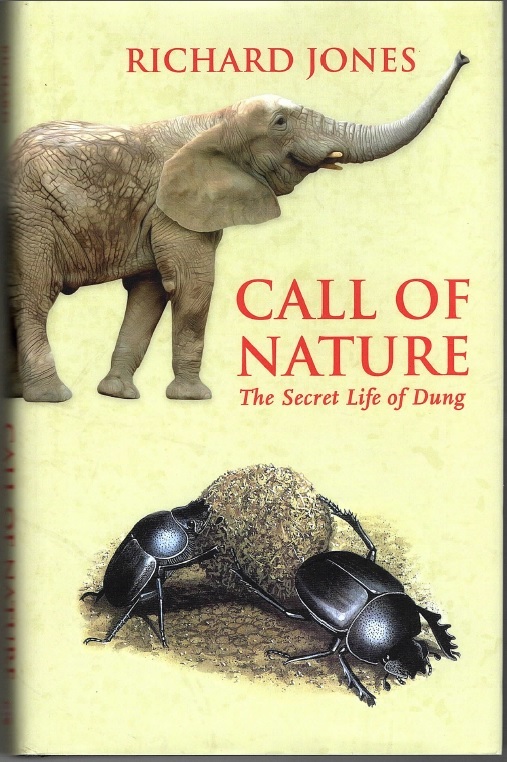 Whilst reviewing this book in the Cevennes mountains, France, I actually had the large dung beetle illustrated on the cover at my feet pushing a large round dollop of wild boar poo across my woodland path, a first for me and easily identified from the book. I suppose that not everyone will rush to read this book, but there are a surprising number of entomologists and coleopterists in particular who will be fascinating by the factual information teased out of the detritus of the forest and field floor by this inquisitive and talented entomologist author. The book is illustrated throughout with beautiful line drawings, and, probably a first, a unique visual key to the variety of poo seen when out and about in distant parts, the remit is worldwide (whales to wombats, though not exhaustive). The illustrator is Verity Ure-Jones. All the characters involved in recycling poo, such as flies (so many species), midges, gnats, beetles (so many species) including scarabs are described and illustrated, including many involved on the periphery of poo. Only Richard Jones could separate out all the species into an orderly collection. The illustrations of beetles associated with dung makes an invaluable key. All is in black and white, which is probably good, as the thought of all the poo in colour would be too much. There is an excellent index and glossary.